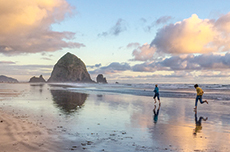 Cannon Beach offers access to some of the Northwest's most scenic hiking trails just minutes from elegant accommodations overlooking the Oregon Coast's iconic rocky shore and beautiful beaches. Venture through lush rainforest at Ecola State Park where some of the world's tallest trees tower over your head. 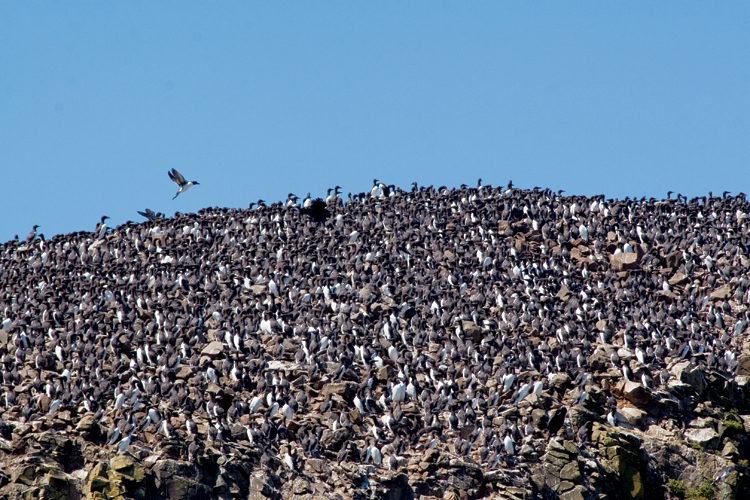 Hike past old-growth Sitka Spruce to the end of dramatic Cape Falcon where you can soak up stunning ocean views. 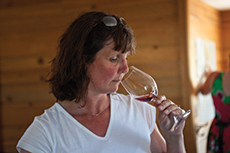 Meander through the wildflower-covered meadows of Neahkahnie Mountain or challenging Saddle Mountain. 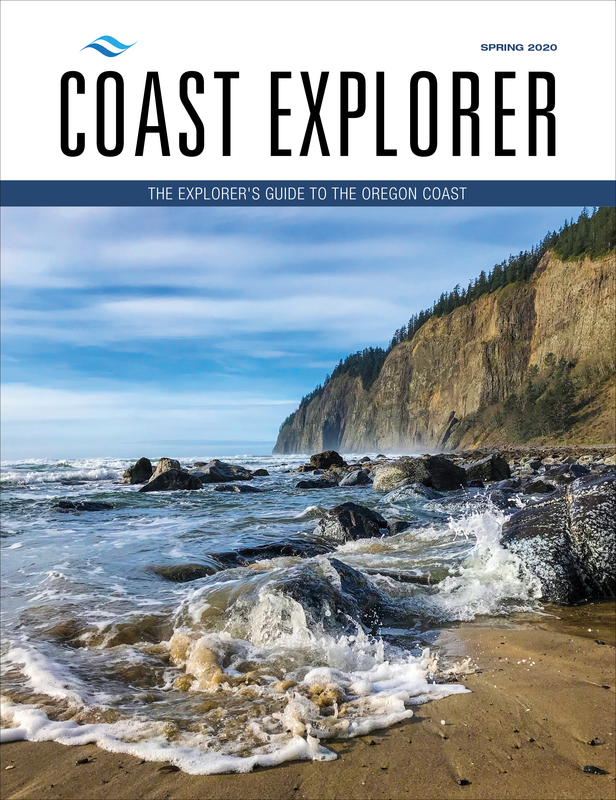 You can also walk miles of uninterrupted beach or connect beach and hiking trails along one of the most beautiful portions of the 382-mile Oregon Coast Trail. You'll find moderate hiking trails, challenging treks and accessible pathways suitable for all ages and abilities that lead to commanding views. Many of the best hikes can be found just minutes away in Ecola State Park, accessed via Ecola Park Road at the north end of Cannon Beach. The Park offers options for easy, paved accessible trails from the Ecola Point viewpoint to options for longer multiple mile hikes. Hikers can combine trails for even longer treks. 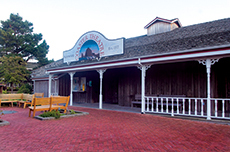 An Oregon State Parks pass, Oregon Pacific Coast Passport or $5 day-use fee is required for parking. Ecola Point to Indian Beach: A 1.5 ­mile section of the Oregon Coast Trail connects Ecola Point (main viewpoint parking area) to Indian Beach. Ecola Point to Crescent Beach: A 1.25 ­mile trail leads from the main parking area at Ecola Point to Crescent Beach. The trail is steep, difficult and often slippery or muddy in places. 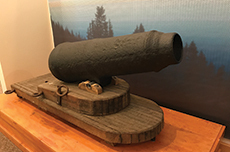 Tillamook Head Trail: From the trailhead at Indian Beach, hikers can follow the route taken by a party of explorers from the Lewis and Clark expedition in 1806. This segment of the Oregon Coast Trail leads from Indian Beach about six miles to the northern trailhead in south Seaside. Clatsop Loop Trail: This three-mile loop trail from Indian Beach begins along a gravel service road, passes through rainforest and finally emerges at a small hikers' camp where a nearby viewpoint overlooks the Tillamook Rock Lighthouse. Hikers can then return to Indian Beach via a portion of the Oregon Coast Trail. 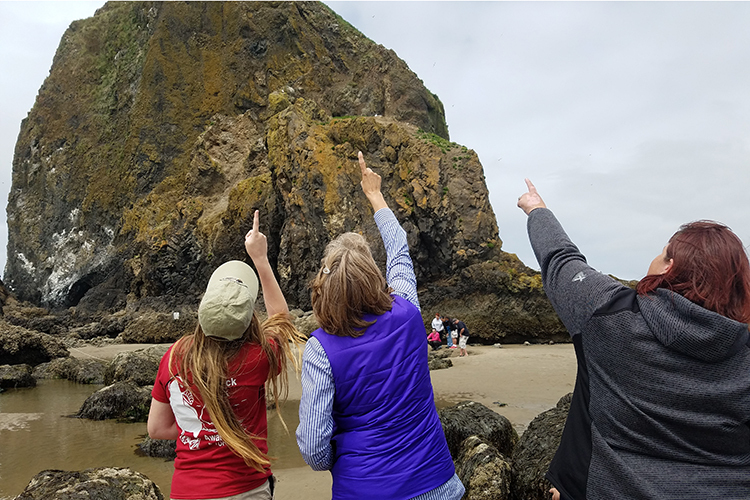 At Oswald West State Park, about 10 minutes south of Cannon Beach, several interconnected hiking trails offer many options for hikers of all levels including a 13-mile section of the Oregon Coast Trail. Cape Falcon Trail: A 2.3 mile hike leads from the trailhead parking area on the west side of Highway 101, through coastal rainforest to the end of Cape Falcon. The trail emerges from the forest at the end of the cape through hedges of salal and wild roses, offering views north to Tillamook Head and south to Cape Lookout. Necarney Creek to Elk Flats: From the smaller parking area just south of the main Oswald West parking lot, the Necarney Creek Trail descends into the rainforest and connects to the Elk Flats Trail south, offering about a 1.5 mile walk through forest, emerging at meadows frequented by elk and eventually leading to a short spur trail to sheer cliffs overlooking Devil's Cauldron. Neahkahnie Mountain Trail: A portion of the Oregon Coast Trail crosses over the 1,661-foot summit of Neahkahnie Mountain. The hike traverses old growth forest, wildflower meadows and offers expansive views from the summit. The north trailhead is located just south of the Necarney Creek Bridge on the highway at a small gravel turnout that also serves as the trailhead for the Devils Cauldron Overlook trail. 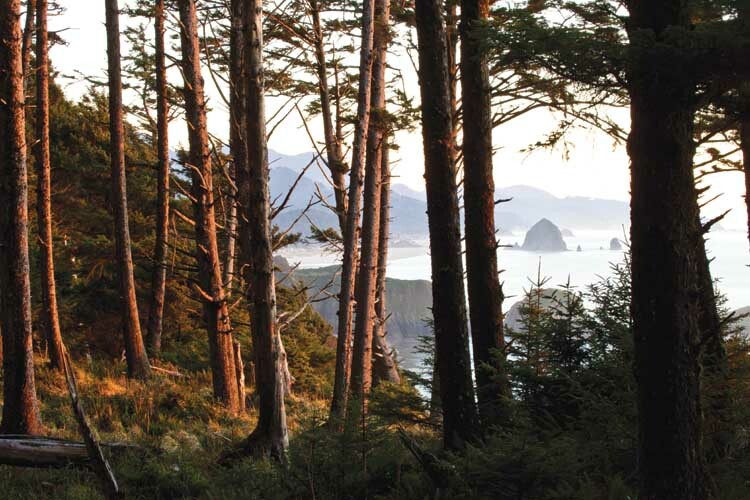 The Ecola Creek Forest Reserve provides scenic walks through varied ecosystems along Ecola Creek, through a Sitka Spruce forest to a viewpoint overlooking the Pacific Ocean. 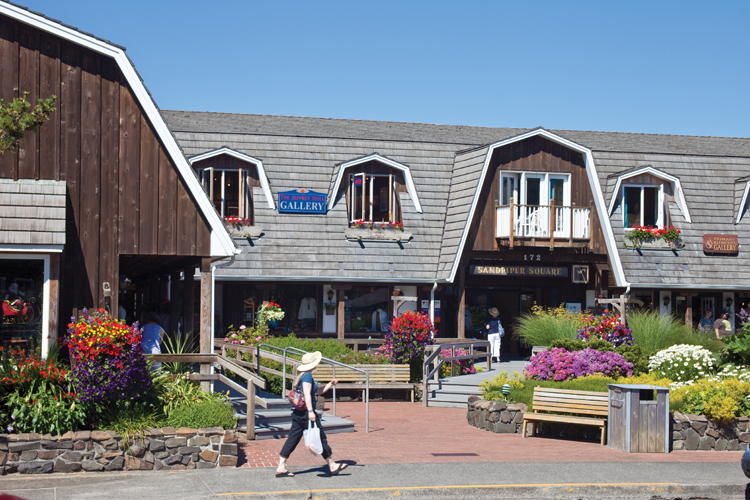 The trailhead is located at the end of Elk Creek Road, just a quarter-mile east of the Sunset exit to Cannon Beach. Just east of Cannon Beach, off Highway 26, experienced hikers can hike a challenging trail to the top of Saddle Mountain, the highest point in the Coast Range and home to a colorful spring wildflower bloom. Several nearby areas offer easy hikes and walks to scenic areas suitable for all ages and abilities. Ecola State Park: Paved trails at Ecola Point, the main viewpoint area in Ecola State Park, offer some of the best panoramic views of the Oregon Coast. Cannon Beach Nature Trail: This trail includes a paved portion that follows a bend of Ecola Creek, past wetlands and emerging at 2nd Street at the City Park. A gravel portion of the trail circles the ponds at the east end of 2nd Street and a south spur of the trail passes through a Spruce forest reserve. Short Sand Beach Trail: A half-mile walk through the woods and along a creek leads to Short Sand Beach in Oswald West State Park.